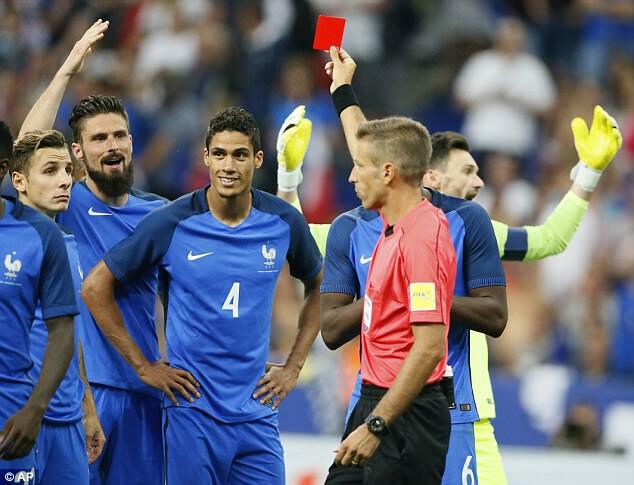 Technology played a role in England’s friendly on Tuesday night when the referee, with the help of his video assistant, opted to send off France star Raphael Varane. 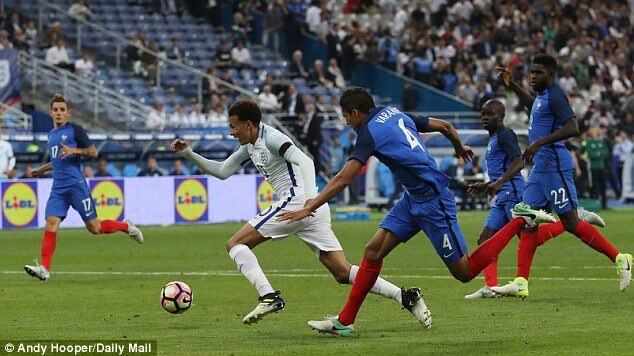 The Three Lions were trailing 2-1 in the early stages of the second half when Dele Alli was brought down from behind by Real Madrid defender Varane. Italian official Davide Massa immediately pointed to the spot to award a penalty kick to the visitors before consulting his video assistant. 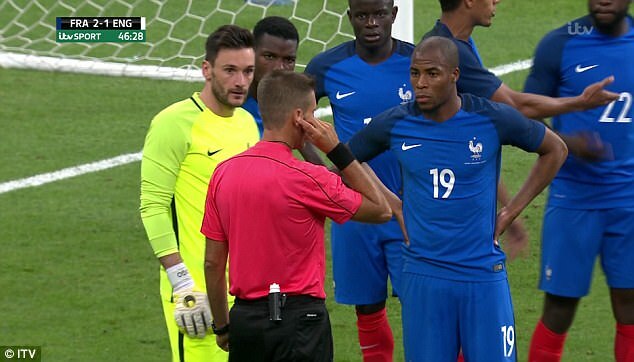 After a short stoppage in play, Massa then gave Varane his marching orders — with the assistant seemingly deciding the challenge was worthy of a straight red. 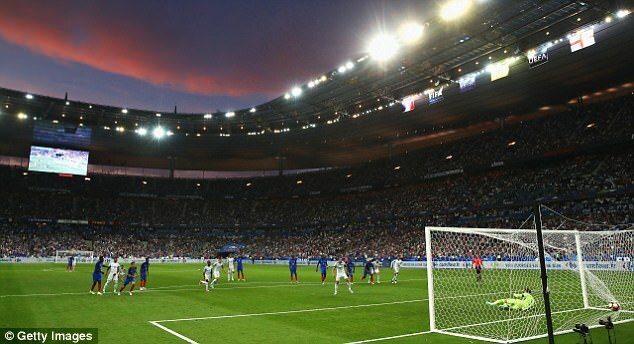 With Varane making his way back to the Stade de France changing rooms for an early shower, Harry Kane stepped up to level the scores in Paris. The Tottenham striker, who captained England for the second time on Tuesday night, confidently fired past Hugo Lloris to net his second goal of the game. Kane had earlier given Gareth Southgate’s side the lead after finishing off a well-worked move involving Alli, Raheem Sterling and Ryan Bertrand. 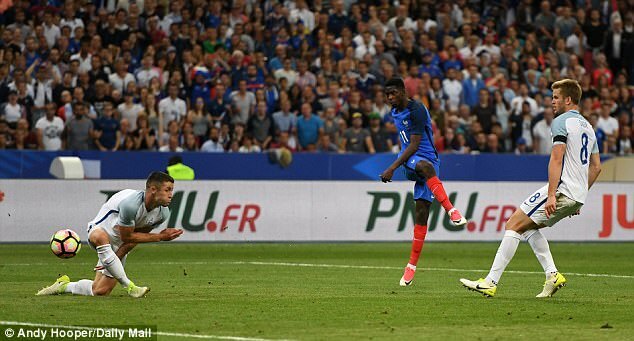 Olivier Giroud saw an equaliser disallowed for offside before France finally levelled when Samuel Umtiti poked him after Tom Heaton had produced a good save. And the hosts ensured they would go into the break with a narrow lead thanks to Djibril Sidibe’s simple tap-in. 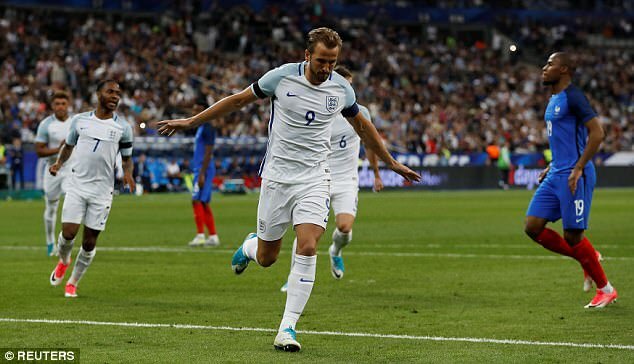 But the Three Lions were level minutes after the restart when Kane made the most of France’s misfortune to score from the spot against Tottenham team-mate Lloris. 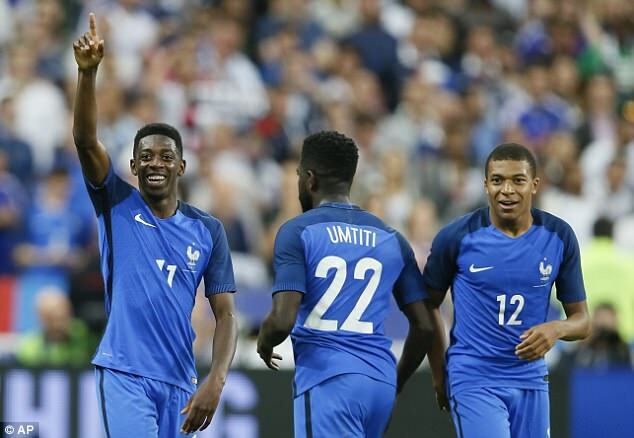 Les Bleus, however, were once again in the lead when Ousmane Dembele, who has been linked with a move to Barcelona, fired home to make it 3-2 to the hosts. And that’s how the game finished, with the hosts holding out for a deserved victory despite playing the majority of the second half with 10 men. Following the match, ITV Sport pundits Ian Wright and Lee Dixon had mixed opinions on the incident. 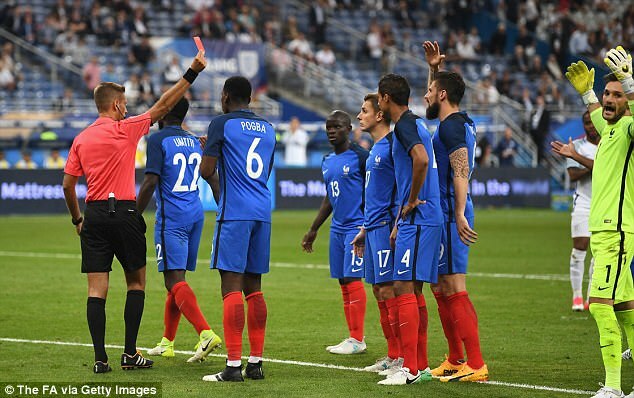 But Dixon, the former Arsenal defender, believes the referee and his assistant made the right call to award a penalty and send Varane off. 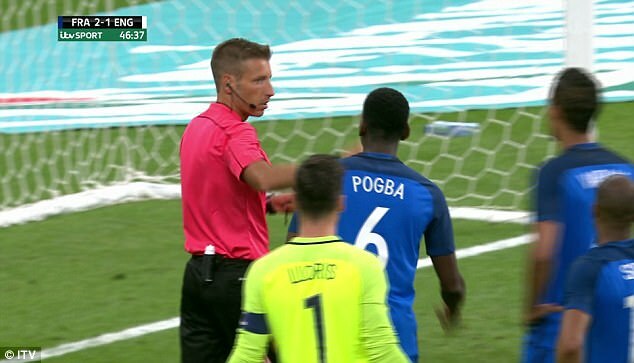 He said: The referee doesn’t have a choice, he’s waited to see whether there is contact, Varane hasn’t deliberately tried to trip him up but it’s a foul, there’s no doubt about that. The video assistant could also have been called upon in the first half when Raheem Sterling fell inside the box and replays showed there was clear contact. The referee, however, decided against blowing his whistle which meant there was no need for the video assistant to take a second look.